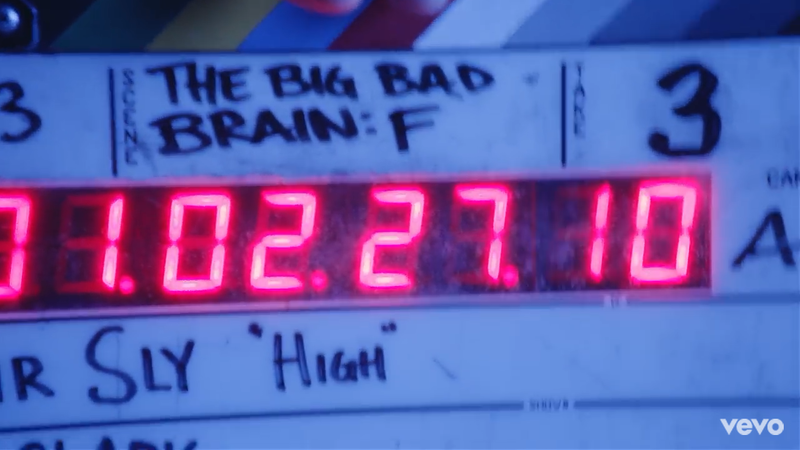 Who would’ve thought that there would be 9/23 mind control symbolism in a movie like Happy Death Day. I wouldn’t actually consider this movie a horror flick per say but kind of like a thriller comedy. But it doesn’t matter what it is labeled, the symbolism was still there. Oh yeah, it came out of Friday the 13th. Happy Knights Templars day. The movie takes place in September of 2017. The main character has her birthday on September 18th and for some strange reason she keeps getting killed on that day and then wakes up at the same time the next morning in order to stop her killer. Obviously she fails 20 times and we have a Groundhogs day type of movie. Now like I mentioned, this happens in September just 5 days before the false sign of 9/23. This is what caught my attention but it gets obvious as the movie goes on. I first want to point out that she is trying to get through Monday the 18th without dying to get to Tuesday the 19th. And its always a missed call from “Dad” (you’ll get that later). Now September 19th of 2017 was the one year anniversary of the Arch of Triumph in New York. Everywhere the Arch was set up, it was usually in a town square with a clock tower. This movie starts off with the clock tower. Niw I’m not saying that this movie is even connected to anything about the Arch but through my research, this is stuff I personally notice. 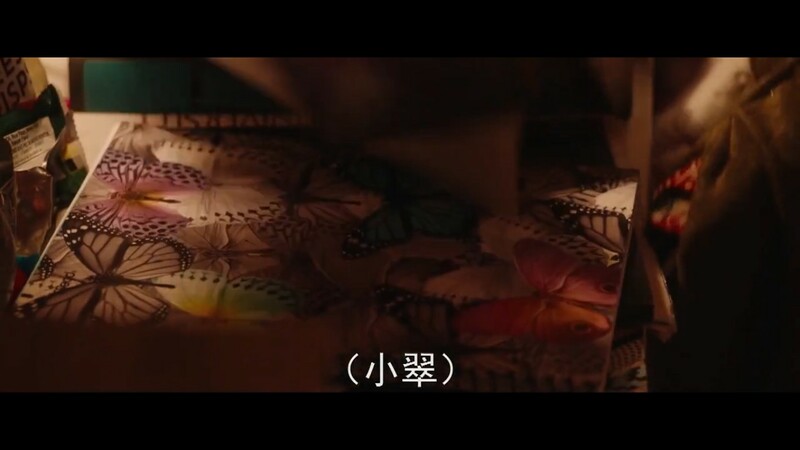 A few other interesting symbolic things is the use of the butterfly. It happened a few times. We know butterflys are symbolic of MKULTRA mind control. 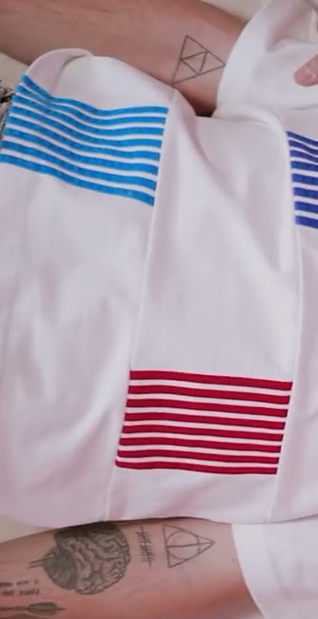 These were shown in key scenes. There was also the use of a dream catcher which represents native Americans catching spirits. These are no good as a Christian. Now the above shots were in here room. Below there are a few interesting things about the dorm room she wakes up in every morning. You can see a random skull representing skull and bones. A poster of the movie They Live at the foot of the bed she wakes up in. And a sticker along with other stickers on the door of the dorm that she hates by the ebbs of the movie. Now you will get all of these references once you understand the conection to 9/23. Notice there are a few stickers with Crescent City Records (crescent moon reference), a dinosaur, a “alien” and lightning coming out of a cloud saying “zap”. 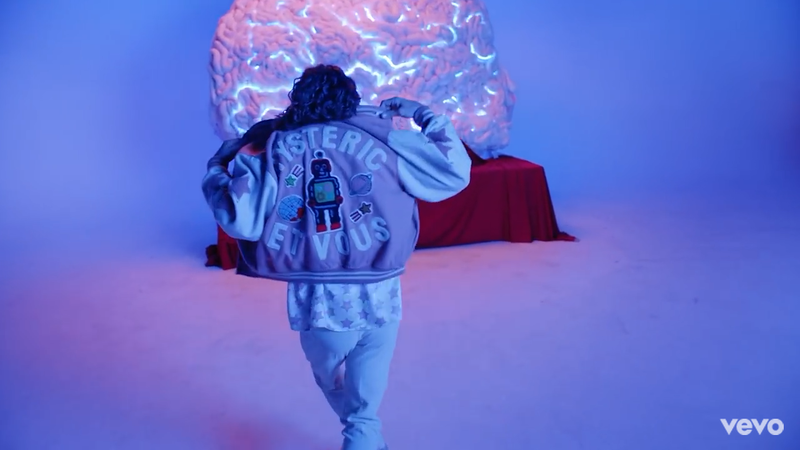 We know who and what represents lightning, aliens and where dinosaurs came from. Now in the ” Today…Life” sticker you can see a hand doing the devil horns that have caused lightning from the pinky to the pointer finger. In reference to the false sign of Rev 12, all of these things are connected. After showing you all of that, now we can get to the 9:23 reference. Everytime she gets ready to die the clock always says 9:23. 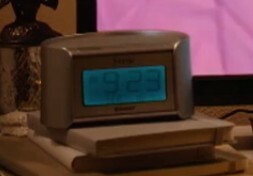 Now it just so happens that when it showed 9:23 , both times, it was on a MTV show Teen Mom. This is a show about young girls getting pregnant out of wedlock. It’s a mess of a show and it’s as bad as the false predictions of a “rapture” happening on September 23rd. 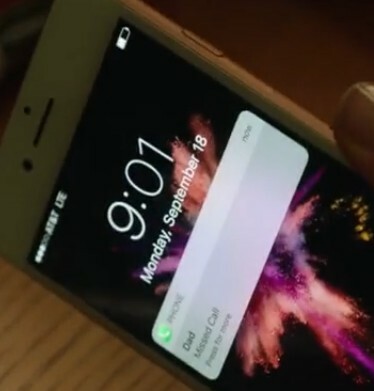 So why the 9/23 reference right before she dies? Because the real 9/23 event was a spiritual births of sort. It was a previous death of an old “giant” (Jupiter) that was rebirthed out of wedlock on 9/09 to fulfill this false “birth sign and alignment” of 9/23. Does that make sense? This girl died multiple times tp only cone back from the dead or maybe I should say being reborn. I also want to bring up the arrows. I want going to until someone commented on them and connected them to the 2015 Economist cover. My first thought when seeing the arrows was the false god Hubal or The Baal. I have mentioned Hubal before so if your not familiar with him then please read this. Now Hubal had seven arrows that were used for divination. But in the two scenes that reference 9:23, there are 3 arrows. We know Artemis the sister of Apollo had a bow and arrows. These two represent the Gemini twins ie duality. 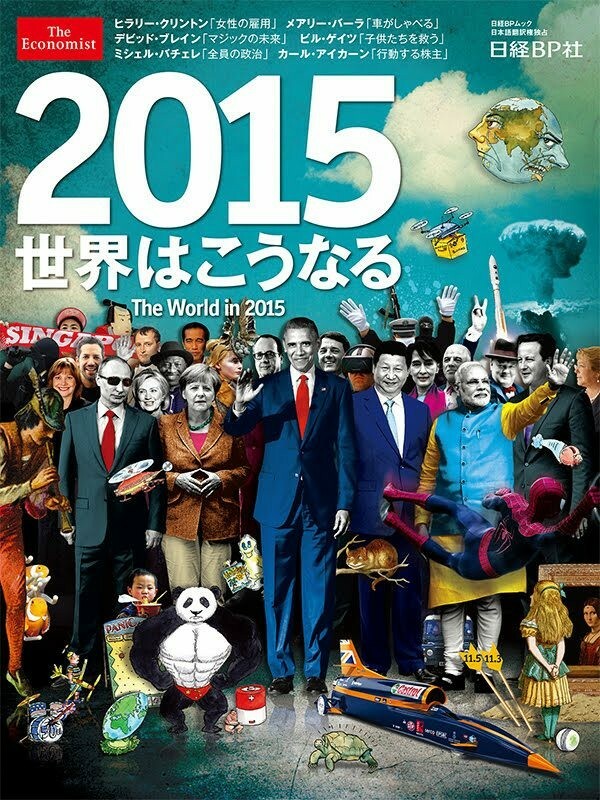 Now as far as the Economist cover we also see 2 arrows with what looks like 2 dates 11.5 and 11.3 next to Alice in Wonderland. I can’t be sure what any of that means but we do know 11/5 & 11/3 have been a few days people have been watching just recently. With these covers they obviously want to send us through the rabbit hole (pun intended). 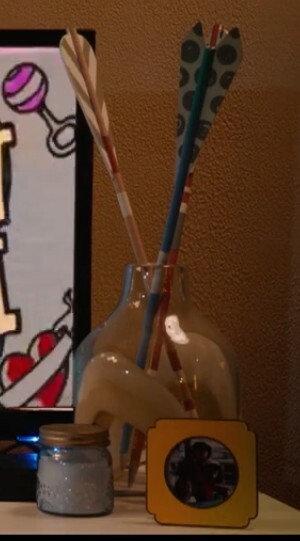 I want you to notice in the movie that there are 3 arrows in this jar but only 2 are recognisable. Once I looked at this again I remember Eros or Cupid who had 2 arrows. I wrote about the grape trampling 9/23 connection a week ago. Is there any connection to this scene, the 2 arrows of Eros’ grape trampling ritual and September 23rd? You’ll have to discern that for yourself. The pictures above are during the closing credits when a dying by Sir Sly called High is playing. 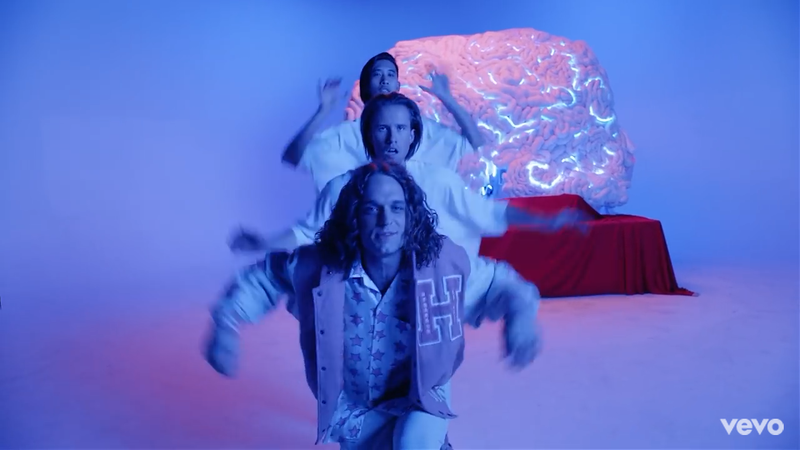 Tool see below that there are references to mind control and the brain, occult symbols, the vesoteric dance of Saturn similiar to what they do in The OA (dance was used to create this hive mind) and the actual lyrics of the song. Look at the lyrics. Notice the chorus and the use of rapture. We also see the 3 arrows symbolism from the movie in this video. Look at the tattoo on his forearm. I mentioned that the dance reminded me of the “Five Movements” dance of The OA show. 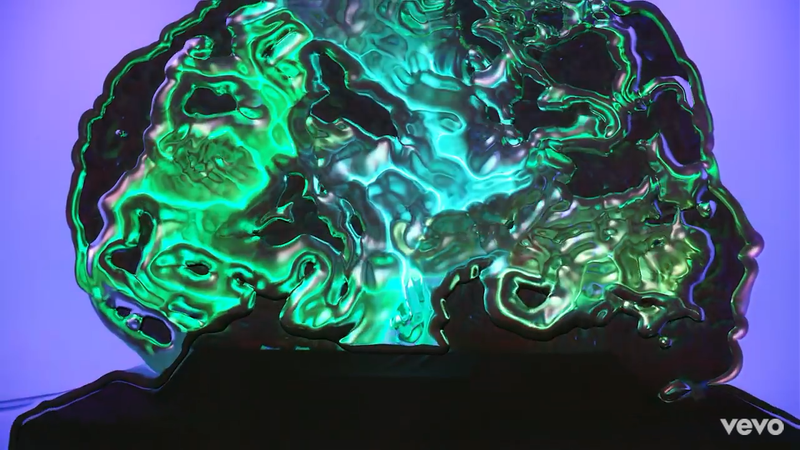 “Referred to as the Five Movements, the routine has the power to raise the dead, facilitate interdimensional travel, and, depending on your interpretation of a key scene, prevent a school shooting.” (https://www.thrillist.com/entertainment/nation/the-oa-five-movements-dance-netflix-questions) This was used in the show to open portals to Saturn. In this video we see the same thing but in this case, to open the mind. Notice the duality above. 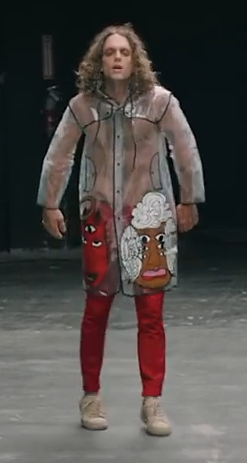 The angel as the devil on his transparent jacket. And even with his buddys, one as the angel and one as the devil. We have that split personality MKULTRA symbolism. 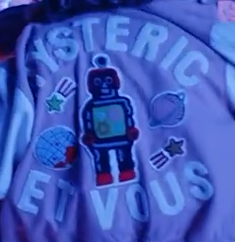 You will also notice the Saturn symbolism on his 80’s jacket Hysteric Et Vous. And we have the return to the 80’s in this video too. A nod to MKULTRA mind control once again. 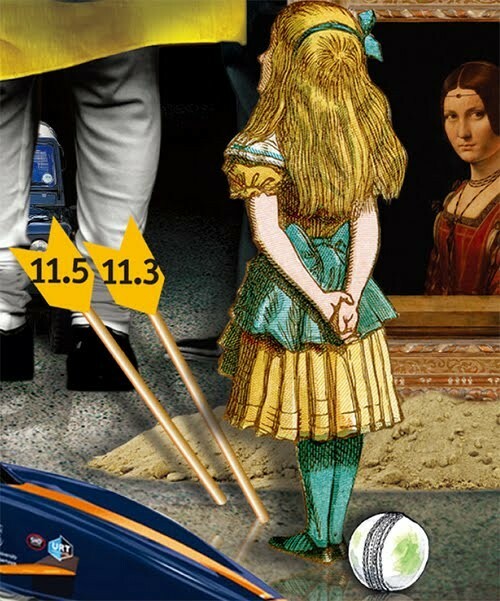 So is there an indirect reference to the false 9/23 event? I personally think so. I believe a ancient demonic spirit was birthed on September 23rd and the rise or should I say awakening of these AI robots like Sophia is referenced to this birthing. Even the video of the closing credits song references this birthing in the form of mind control. We saw this with the October 1st ritual harvest. I was wondering if there was any meaning to all of the rooster stickers in the bedroom of the guy who had the disco ball and music playing loud while Tree was in the room with him during her surprise party? Just something that got my attention. Holy mackerel, I had no idea all this sort of thing was going on underneath what I have considered mindless music videos. Having read all these things, I still don’t know what 9/23 is supposed to mean, though. I may be too thick to get it. Can you throw me a clue about 9/23? A clue that even a thick sod like me can comprehend.